In a few hours, I’ll be settling in for what’s almost a daily summer routine: Sitting down to watch the Mariners game on TV with my son (sometimes) and wife (occasionally). But tonight’s game will be anything but routine. We’ll be watching Ichiro Suzuki play in a Yankees uniform. The Yankees!!!!!!!!!! The evil empire of major league baseball!!!!! My least-favorite sports team in any sport … well, aside from the Pittsburgh Penguins. That’s gonna be strange. And, even though he’s a shell of the player he was a couple years ago, it’ll be a little bit sad. Don’t get me wrong: I won’t mind at all seeing the Mariners play younger guys who can improve the team for the long haul, and I didn’t want Ichiro to come back to Seattle next season. It’s time to go in another direction. 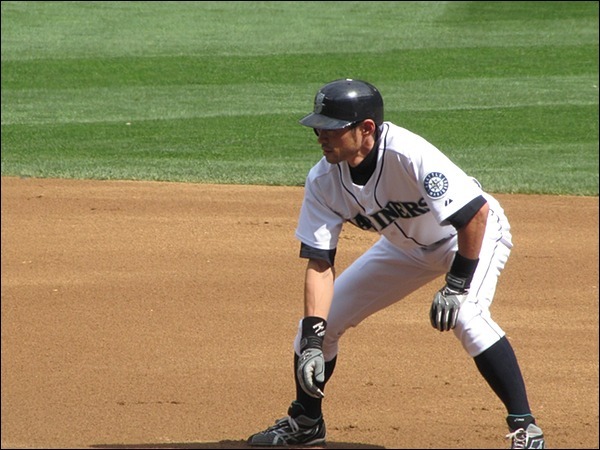 But, at the same time, there’s this: Ichiro is easily one of the top five Mariners ever, and there were summers in the not-too-distant past that Ichiro was the only reason to bother watching a Mariners game. And here he is again … in another long summer … giving us a reason to watch the Mariners. That’s nuts! First I’ve heard of this. It’s not nuts. He hasn’t been very good the last couple years and with the team in a youth movement, he doesn’t fit the long-term plans. Huge contract, too old, etc.